Bill Starkey, a well-respected leader in the mortgage industry, brings his experience and wisdom to Highlands Residential Mortgage Ltd., with an energetic vision to grow the company into a multi-state production franchise. 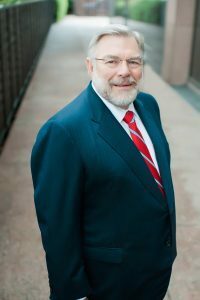 He is a leader in the business and non-profit communities, serving as past President of the TMBA, member of the Executive Committee and Board of Governors for the MBA of America, and on the Board of Kilgore Federal Savings and Loan. He has also served on the Board of numerous non-profit organizations, including Interfaith Housing Coalition, The Deaf Action Center, and Board of Trustees and Treasurer of Preston Hollow Presbyterian Church Foundation. Mr. Starkey also serves as the founding Chairman of the Board of Project Imagine Foundation, an organization he established after traveling to South Africa in 2009 where he witnessed first-hand the HIV/AIDS crises in Sub-Saharan Africa. In addition, he serves as a Director of the THEMBA Foundation. Mr. Starkey and his wife Carron reside in Dallas. They have two sons and five Grandchildren.